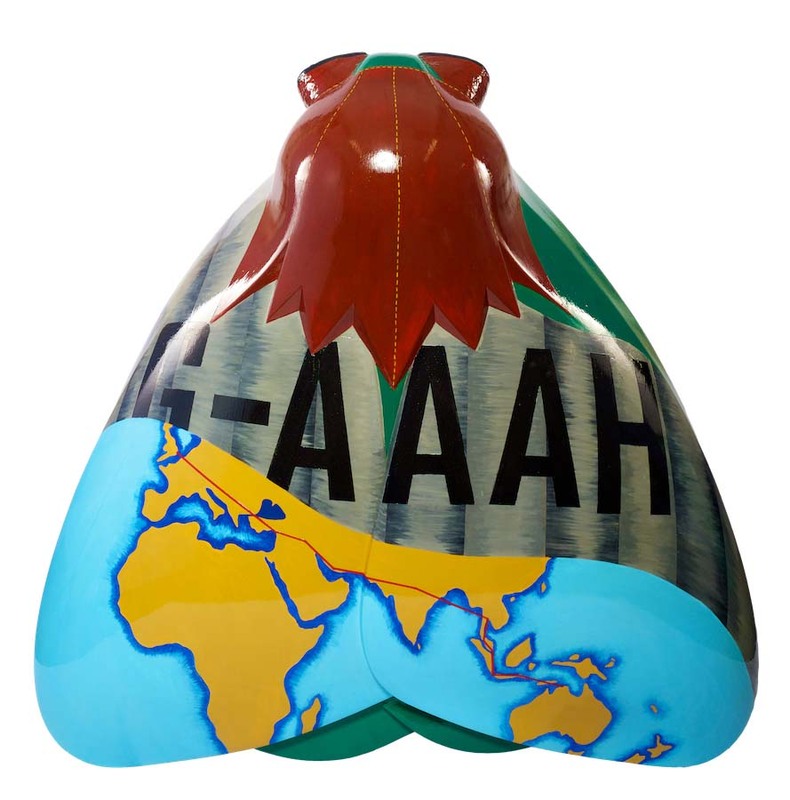 ‘Adventure to Australia’ is a visual representation of Amy Johnson’s record-breaking flight to Australia in 1930. It incorporates the important elements of the route, Jason the DH60 Gipsy Moth G-AAAH, and most importantly shows Amy herself, represented by her iconic flying hat and goggles. Jemima Cholmondeley-Smith is an artist who primarily practices figurative work. She is inspired by people, be they important historical figures, familiar faces of friends or the wide variety of unknown characters in the world around her. She is particularly interested in women’s rights and female pioneers. Sewerby Hall is a Grade I listed house near Bridlington, opened to the public by Amy Johnson in 1936. In 2012, following a grant from the HLF, the house was restored to its 1910 appearance and contains a collection of Amy Johnson memorabilia donated by her parents. The grounds contain a zoo, aviary, gift shop, café, golf course and gardens.